Michael Morpurgo’s book War Horse has raised awareness of the part played by horses during WW1. Shakespeare’s Henry V offered his kingdom for a horse, reminding us of the importance of the role played by a strong and reliable horse in conflict. We still use the expression send in the cavalry when we want a quick and efficient response to a problem. The First World War was the last time the cavalry were used as part of the fighting forces. Nowadays they play a ceremonial role adding something special to the pomp and circumstance of state occasions. In the early days of WW1 it still seemed feasible to make use of the cavalry . However the development of trench warfare and increasing mechanisation changed the role of the horse as part of a fighting force, especially on the Western Front. The cavalry was up against machine guns, shells, barbed wire and tanks and couldn’t charge through the trenches. 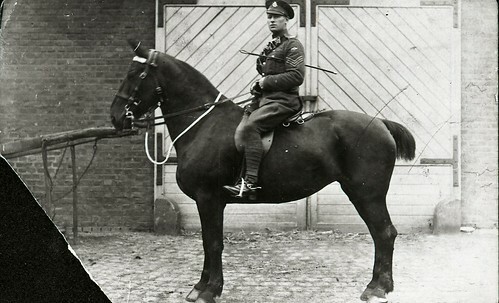 Horses continued to be used for transport throughout the war and played a significant role. They moved guns, troops and supplies. A horse could cover terrain too difficult for mechanical vehicles. 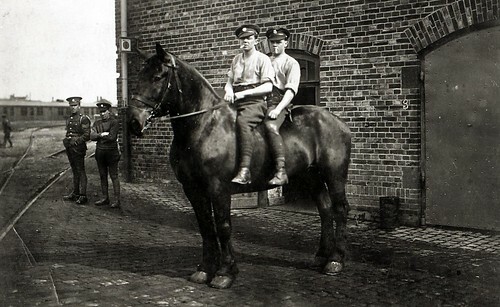 Horses raised morale among the men. However the presence of horses also created problems. Their carcasses and their manure added to the spread of disease. They also had to be fed and watered. The British Army Veterinary Corps established hospitals to treat sick and injured horses. We have identified nearly 3,000 photographs in our Documentary Photographic Archive collection relating to WW1. Among these images are photographs of horses. 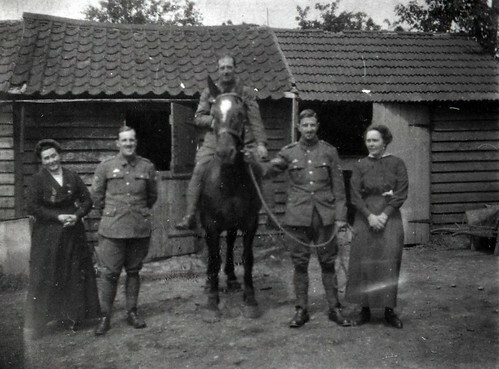 Research into the role of horses and the stories behind these images will be part of our commemoration of World War One. The supply of horses had to be maintained. It’s been said that they were more difficult to replace than a soldier and more valuable tactically. There were special breeding programmes and horse breeders were among reserved occupations. Horses were also imported from Australia, Canada and Argentina. Only horses standing over 15 hands could be requisitioned, safeguarding children’s ponies. It’s thought that 8 million horses died during the war, on both sides. 2.5 million were treated in veterinary hospitals and 2 million were ‘cured’ and returned to duty. There’s an important story to be told here and we hope that our volunteers’ research into our archive collections will uncover some local aspects of the bigger picture. 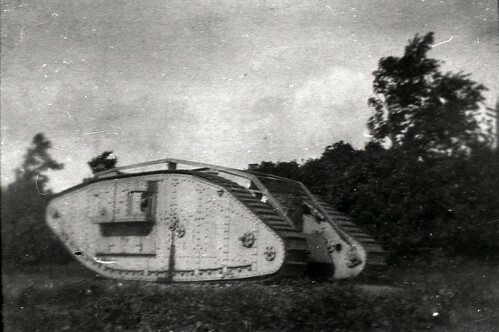 Cavalry were used right up until the end of the war, particularly in the last “100 Days” from the Battle of Amiens (where they played a key role). In fact in my most recent blog post (published yesterday) I paraphrase the war diary of 7th Battalion, Royal Fusiliers who witnessed a cavalry unit (name not given sadly) capture a German artillery battery at 10:55am on 11 November (just minutes before the armistice came into effect). I recommend David Kenyon’s “A horseman in no man’s land” for a more considered view of the use of cavalry throughout the war. Thank you for this additional information.Hopefully the research being done on an national level to commemorate the start of the First World War will reveal more of these stories through eye witness accounts.